Hello lovely readers! 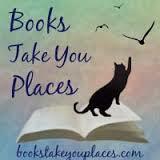 I know that it has been rather quiet over here for a few weeks due to my moving to a different state and enjoying summer, and it might be quiet for a few more weeks, but I thought that I would share something wonderful to show you all how much I adore you for following Books Take You Places! 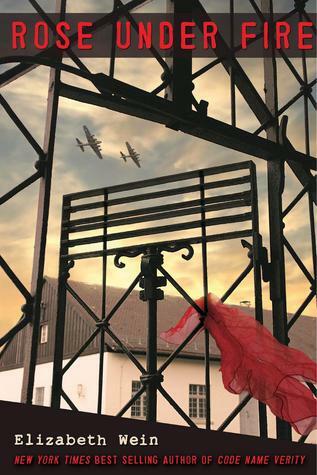 “While flying an Allied fighter plane from Paris to England, American ATA pilot and amateur poet, Rose Justice, is captured by the Nazis and sent to Ravensbrück, the notorious women’s concentration camp. Trapped in horrific circumstances, Rose finds hope in the impossible through the loyalty, bravery and friendship of her fellow prisoners. But will that be enough to endure the fate that’s in store for her? Sounds great, right? To enter the giveaway, just click the link below! The contest will run until August 11, good luck! This entry was posted in Giveaway and tagged ARC, BEA, Giveaway, Signed, WWII. Bookmark the permalink. I’d LOVE a copy of Rose Under Fire! A companion to “Code Name Verity”?!!! Errgh! Aaugh! Please! Want! …Or, in proper English, I would like to win that. Pick me! Pick me! Pick me! Please Please Please! Loved Verity!! So excited about this book!!! I am so excited to read this book! That’s awesome you got to meet Elizabeth Wein and I can’t wait to read your review on this book. Thanks for the giveaway! I can’t wait for this book! I loved Code Name Verity so, so much. I can’t wait for this book! I loved Code Name Verity so, so much. I entered the giveaway as Cleo, by the way.